Our talented team members use the latest technology in the industry to create visuals to assist our clients in furniture selection and order accuracy. We use the latest technology in the industry to provide realistic visualizations for our clients. Our talented design team utilize industry experience and expertise to create visual interpretations of real, simulated, or conceptual data to assist our clients in furniture selection and order accuracy. Well-crafted visualizations provide our clients with detailed views of proposed layouts, in turn offering them new insight into their project. Visualizations also serve as a means of communicating specific ideas in an easy to understand format, eliminating errors or miscommunications between G|M and our clients. 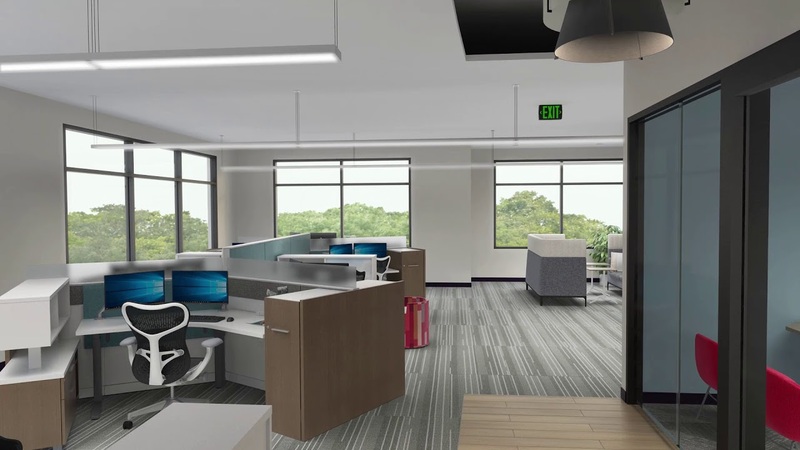 Our visuals can also help customers create workplace standards, define settings and their placement in a floor plan, and understand navigation within a space. Our team is continuously exploring emerging techniques and technologies like virtual and augmented reality to bring the most advanced approach to design. Ready to begin your project? Contact us today to get started.